Siegfried Bettman (1863 – 1951) , a German by descent , was importing and selling bicycles and sewing machines in England. 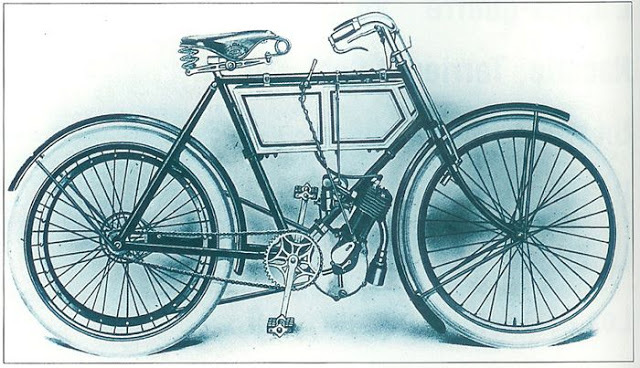 In 1886, he created S. Bettman and Co for importing bicycles and selling under the name “Triumph“. 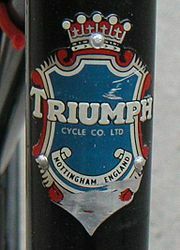 In 1887, the company was renamed as Triumph Cycle Company and later as New Triumph Company Ltd. In 1888 manufacturing bicycles were started in England on the insistence of his partner Moritz Schulte. 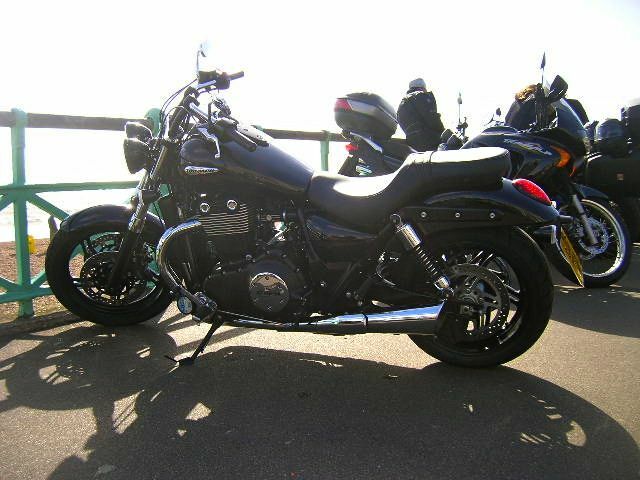 Triumph expanded in to motorcycles in 1902 and the first motorcycle was fitted with a Minerva engine. In 1907 , Triumph started manufacturing their own engines as well as used engines designed by the famous Sir Harry Ricardo. During the war , Triumph motorcycles were used by the Allied army. 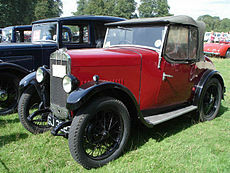 In 1930 the company was renamed as Triumph Motor Company and launched the very successful Triumph Super 7 , in competition to the Austin 7 car. Unable to keep in pace with the competition, Triumph shifted its focus from small car to large and luxury cars. Successful models like the Triumph Gloria followed. By 1944 the company was bankrupt and was sold to Standard Motor Company. Standard Motors shifted Triumph to performance and sports cars and continued to sell normal cars under the Standard brand name. Triumph changed many hands in the following years – 1960 Leyland Motors; 1968 British Leyland Motor Corporation ; 1986 Rover group; 1994 BMW. When BMW sold the Rover holdings , it retained the Triumph brand and the brand name is currently with BMW. While the Triumph cars ceased production, the motorcycle continues till date. In 1936 the motorcycle division was sold to Ariel Motor Cycle Company and was renamed as Triumph Engineering Company Ltd. In 1951, the Triumph Engineering Company was taken over by BSA. In 1956 , BSA sold off the bicycle division to Raleigh Bicycle company but retained the motorcycle division. In 1971 , the Triumph Motorcycle Division was sold to Norton-Villiers to become Norton-Villiers-Triumph (NVT). In 1977 NVT was sold to The Meridien Motorcycle Co-operative to become the Triumph Motorcycle (Meridien). 1983 saw the bankruptcy of Triumph and a builder /property developer John Bloor invested in Triumph to keep the brand alive till date as Triumph (Hinckley). 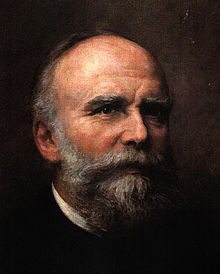 Nikolaus August Otto (1832 – 1891), German by nationality , was a travelling salesman and got interested in the Lenoir engine. The Lenoir atmospheric engine ran at 4% efficiency and Otto was contemplating to improve the engine. He , along with Carl Eugen Langen formed the company, NA Otto & Cie to manufacture these engines. This was probably the first engine manufacturing factory in the world. In 1867, they developed the Otto-Langen atmospheric engine which won many awards and contracts. In 1869, they moved the company to the town of Deutz and renamed their company as Gasmotoren – Fabrik Deutz. In 1872, the management brought in Gottileb Daimler as the factory manager and Wilhelm Maybach as the design director. 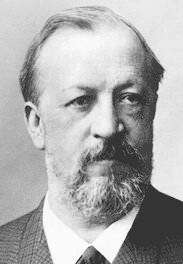 Nikolaus Otto and Eugen Langen continued to work in trying to improve the efficiency of the atmospheric engine. In 1876 , they developed the first successful 4-cylinder , compression engine, running on illuminating gas (coal gas). 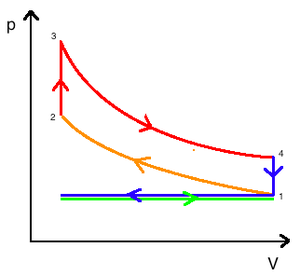 The thermodynamic cycle came to be known as Otto cycle and the engine “Gas Engine”. Later on the engine was modified to run on Petrol (gasoline) but the name “Gas Engine” stuck on and even now Petrol engines are referred as Gas Engines. Nikolaus Otto wanted to concentrate on large stationary engines where as Gottileb Daimler wanted to concentrate on small automobile engines. This led to Gottileb Daimler quitting the company in 1882, taking Wilhelm Maybach along with him to form his own company – Daimler AG as we know today. 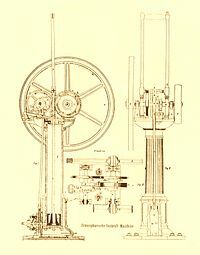 In 1886 , Nikolaus Otto lost his patent right of the Otto engine over recently discovered 1862 patent of Alphonse Beau de Rochas. This engine design was similar to Nikolaus Otto’s design but was only on paper. This led to many companies manufacturing Otto cycle engines. During the war , the company was renamed as Klockner Humbolt Duetz AG (KHD) and later as Deutz AG. Some the well known Automotive legends have worked in Deutz AG before moving out and starting their own companies – Gottileb Daimler, Wilhelm Maybach, Prosper L’Orange, Rudolf Diesel, Robert Bosch, Ettore Bugatti. In 1892, brothers Franz Graf , Heinrich Graf and Karl Graf opened a bicycle repair shop in Vienna. Soon they expanded in to manufacture of bicycles. 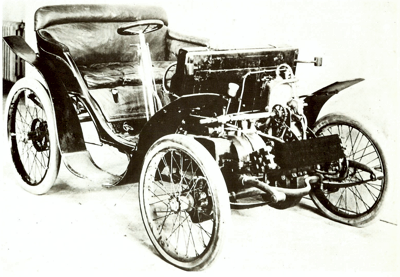 Sometime between 1895 & 1898 , they developed a car with a single cylinder De-Dion Bouton engine fitted in the front of the car , driving the front axle. Probably this was the worlds first front-wheel drive car. Only one car was made of this design. The Graf brothers continued to experiment with cars and in 1904 formed the company Graf & Stift along with an automobile dealer , Wilhelm Stift. They made cars under the Spitz brand name. 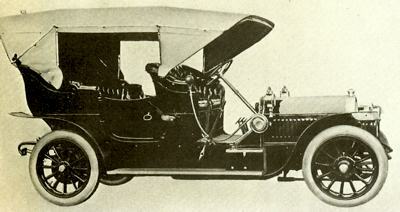 In 1907 , they terminated the Spitz brand name and started manufacturing cars under the Graf & Stift brand name. One of most famous car was the 1911 Graf & Stift in which Archduke Franz Ferdinand was assassinated in 1914. He was the heir to the Austrian throne and this incidence started the first world war. In 1971 , Graf & Stift was taken over by Osterreichische Automobil Fabriks AG to become OAF-Graf & Stift AG. 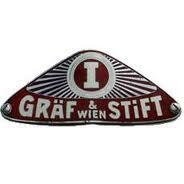 In the same year OAF-Graf & Stift became the subsidiary of MAN AG. In 2001 , the Graf & Stift name was dropped when MAN AG re-organized , to become MAN Sonderfahzeuge AG. 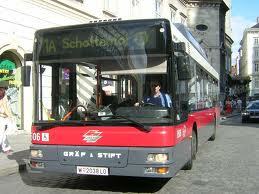 In a further re-organization in 2004 , the company is known as MAN Osterreich AG.